Augsburg dial for latitudes 0-90 North. 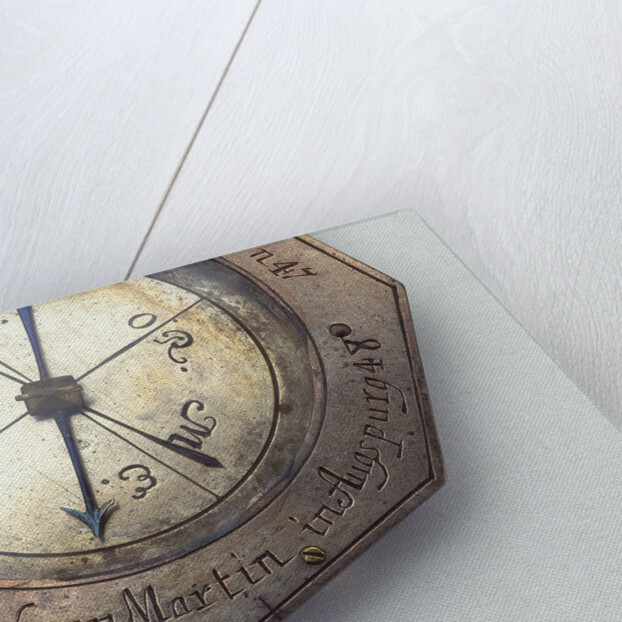 Standard dial (see related terms) except for the following details: it has a silver dial-plate on which an engraved arrow in the compass indicates the magnetic variation at 10 West of North. 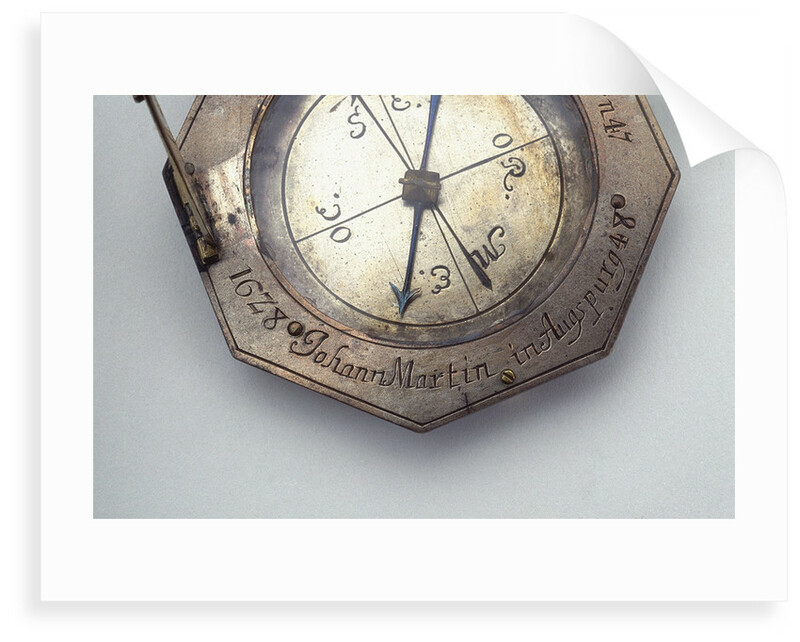 The glass plate is chipped, and engraved around the compass on the plate are four German towns with their latitudes. 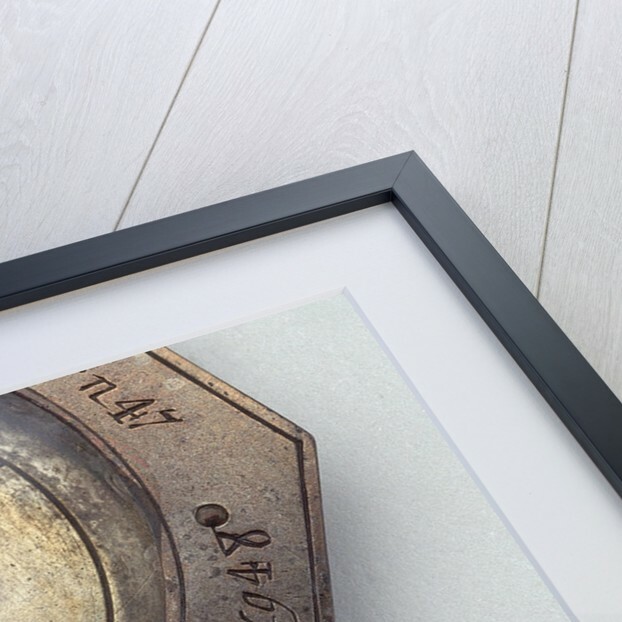 The brass latitude arc is divided -9 and features a decorative floral scroll end. A silver hour band is set inside the brass ring: the obverse side of the ring is engraved with a wheatsheaf design; the inner side is numbered. The gnomon and its support are brass and the dial-plate is supported by three brass legs. On the remainder of the reverse side of the dial-plate is a table of latitudes consisting mainly of towns and cities in Eastern Europe. 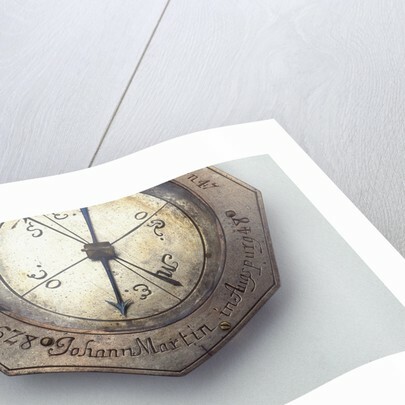 The dial is signed 'Johann Martin in Augspurg 1628'.